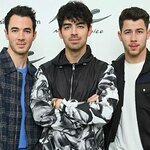 The North American International Auto Show (NAIAS) has announced the Grammy nominated Jonas Brothers will play a special concert at Detroit’s Joe Louis Arena on January 18, 2009 to help raise funds for the annual Charity Preview. The 2009 Charity Preview will take place at Cobo Center on January 16 from 6-9 PM. Since its inception in 1976, Charity Preview has raised over $77 million for children’s charities in metro Detroit — over $32 million of which was raised in the last five years alone. Medical treatment, clothing and support services for local kids in need all are made possible through the purchase of Charity Preview tickets. The annual event has delivered more than $6 million to children’s charities in Southeastern Michigan. Metro Detroit area beneficiaries of the Charity Preview include: Barat Child and Family Services; Boys & Girls Club of Southeastern Michigan; Boys Hope Girls Hope of Detroit; The Children's Center, Judson Center, Children’s Services of Northeastern Guidance Center Assistance League, The Detroit Institute for Children, Think Detroit PAL, Easter Seals – Michigan, March Of Dimes, Children’s Hospital of Michigan, and the DADA Charitable Foundation Fund – a fund of the Community Foundation for Southeast Michigan. The Jonas Brothers join a growing list of celebrities that have attended Charity Preview in years past to help raise funds for children in need. Previous attendees include Céline Dion, Aretha Franklin, Kid Rock, Kevin Bacon and Jay Leno. Through their Change for the Children Foundation, the Jonas Brothers raise funds to support programs that motivate and inspire children to face adversity with confidence, determination and the will to succeed. Their first fundraising initiative – You Decide. You Donate. – launched this past summer and through the generosity of their fans, was able to donate to charities including NothingButNets.net, American Diabetes Association’s Diabetes Camp, St. Jude Children's Research Hospital, Children's Hospital Los Angeles and Summer Stars. For every Charity Preview ticket purchased, patrons will receive one free ticket to see the Jonas Brothers live in concert on January 18, 2009 at Joe Louis Arena. There are a limited number of Charity Preview tickets that are tied to the Jonas Brothers concert. Tickets must be purchased between December 23, 2008 and January 5, 2009. Proceeds from all ticket sales will go to benefit Charity Preview. Charity Preview ticket holders who purchased prior to December 23 will be contacted and given the option for Jonas Brothers tickets as well. For details on how funds from the Charity Preview are used to give back to the local community, see here.